70,000 bonus Qantas Points will be awarded when $3,500 is spent in the first 90 days from approval. 30,000 bonus Qantas Points will be awarded when the annual fee is paid upon card anniversary2. Spend $3,000 within the first 90 days. Plus 0% p.a. for 9 months on purchases5. 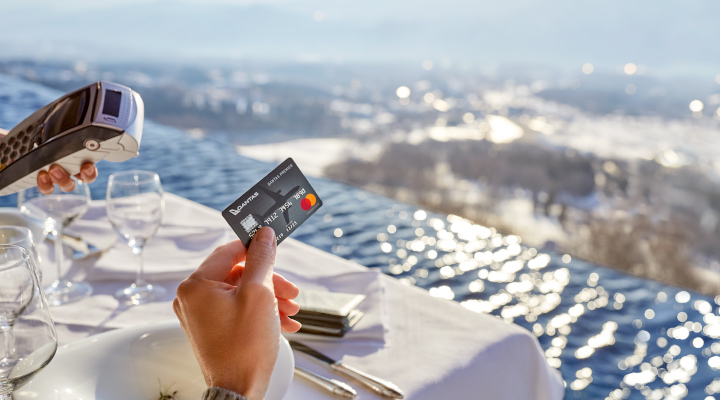 Discover the rewards a Qantas Premier credit card offers, including bonus Qantas Points and uncapped points earning potential. Apply today and enjoy more. 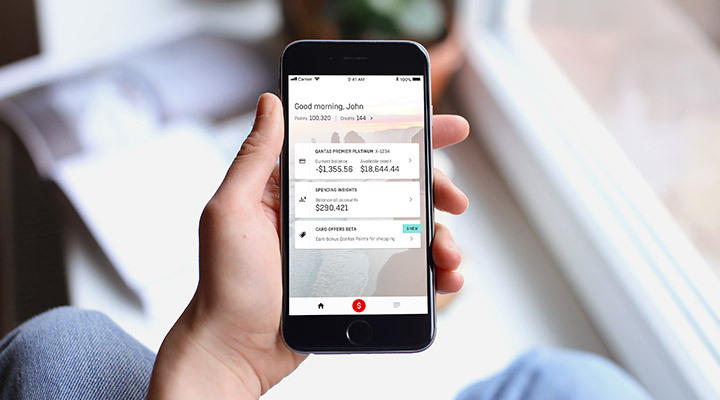 The Qantas Money app is designed to help you track your money on the fly and work in tandem with the Qantas Premier credit cards16. It brings all your accounts together easily in one place, so you’ll see how you spend your money by category and can make informed decisions. Qantas Money. Designed for you. You’re rewarded for everyday purchases right through to life’s little luxuries. Designed to help you manage your money by giving you the big picture16. A safe way to carry your travel money, with up to 11 currencies on one card17. Offer ends 30 May 2019. 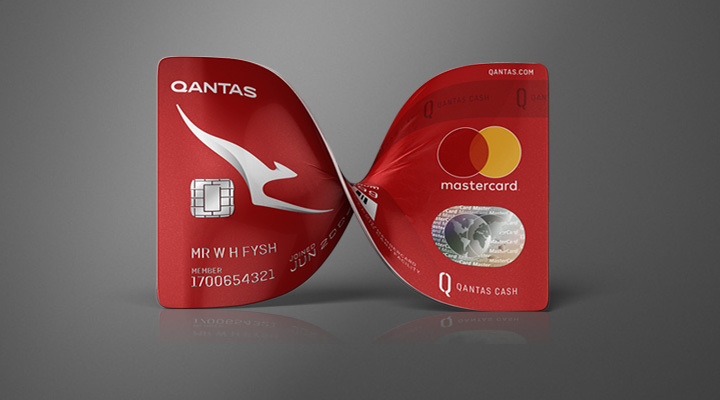 150,000 bonus Qantas Points offer is available to new approved Qantas Premier Titanium credit card account holders who apply by 11.59pm Sydney Time 30 May 2019. 150,000 bonus Qantas Points will be awarded when $5,000 is spent in the first 90 days from approval. Eligible purchases do not include; Cash Advances, Balance Transfers, Refunds, Chargebacks and Special Promotions do not contribute to the spend threshold. Bonus Qantas Points will ordinarily be credited within 6 - 8 weeks of meeting the spend criteria. Offer may be extended or withdrawn at any time. 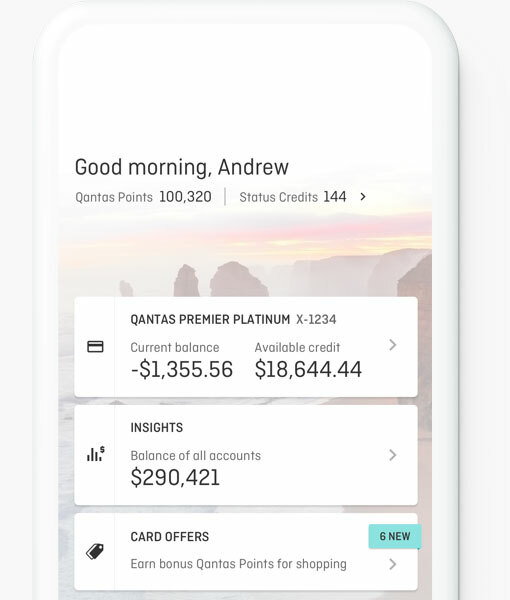 The 150,000 bonus Qantas Points are not awarded to account holders who already hold a Qantas Premier Everyday or Qantas Premier Platinum credit card and change their account to Qantas Premier Titanium. 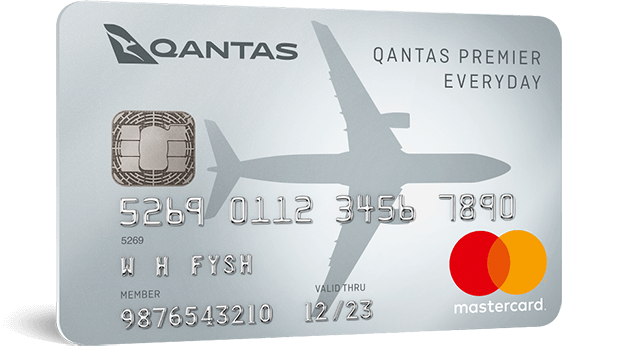 New Qantas Premier Everyday credit cardholders only. Apply by 30 May 2019. The 0% p.a. rate applies to Retail Purchases (excluding Cash Advances) for 9 months from account approval. At the end of the 9 month promotional period any outstanding Retail Purchase Balance in addition to and new Retail purchases will attract variable Annual Percentage Rate for Retail Purchases, currently 19.99% p.a. The interest rates are current as at 30 October 2018. Offer may be withdrawn or extended at any time. 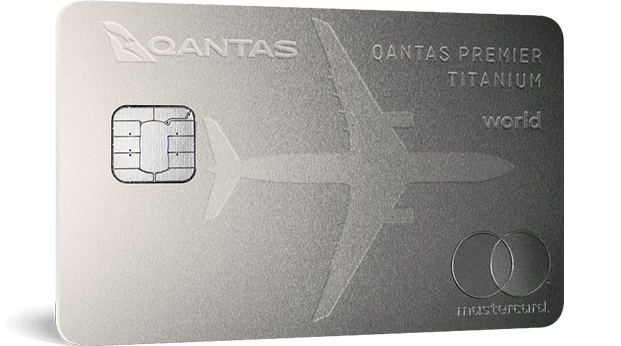 The Qantas Premier Platinum Primary Cardholder is entitled to the Companion Fare benefit once per year. Discount applies to selected domestic flights only when two to nine passengers (including the Primary Cardholder) travel together on the same booking number, day and flight(s). 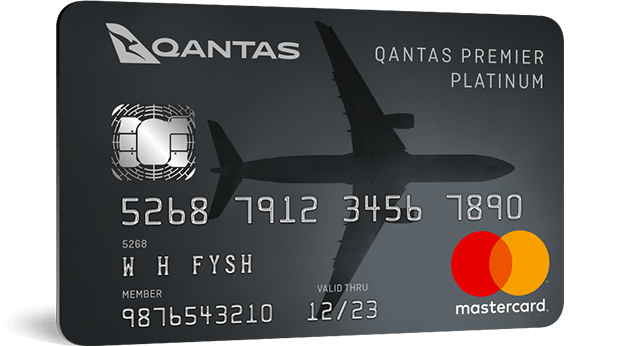 Flights must be booked through Qantas Premier Concierge and paid in full at the time of booking using the primary cardholder's Qantas Premier Platinum credit card. For full terms and conditions, see Qantas Premier Credit Card Airline Benefits Terms and Conditions. Apple, the Apple logo, Touch ID and iPhone are trademarks of Apple Inc., registered in the U.S. and other countries. App Store is a service mark of Apple Inc. Android and Google Play are trademarks of Google Inc.